“This has been a great experience for us as a newly appointed electoral board; we have learned so much from so many people – especially about the importance of the trust held by political parties and the general public in an electoral management body!” said Mr Demwozie Mammie Hersho, the leader of a delegation from the National Electoral Board of Ethiopia (NEBE), at the end of a five-day visit to the Netherlands. 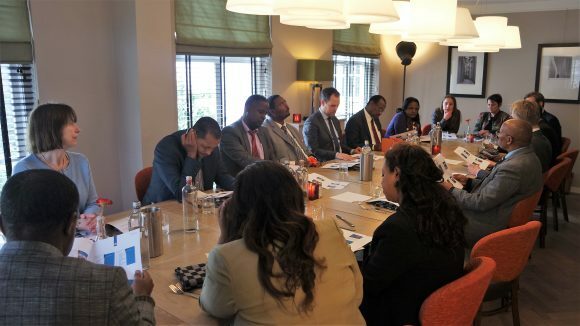 The NEBE delegation visited the Netherlands on the invitation of NIMD to, among other things, observe and draw lessons from the 2018 Dutch local government elections. 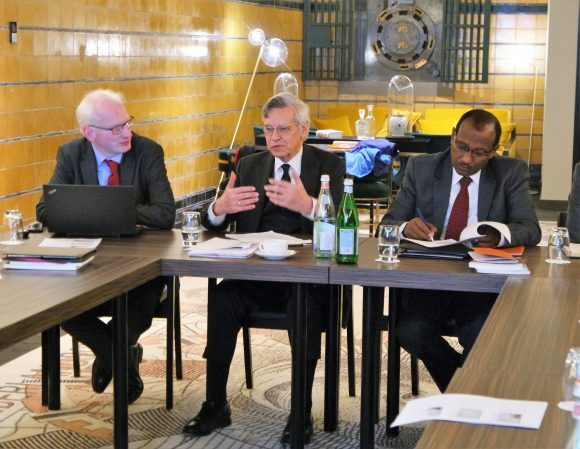 Having been appointed a mere two months earlier, the Board was facing the prospect of organising local government elections in Ethiopia in May 2018, and its members were eager to draw some lessons from the recent Dutch elections. Importantly, before the next national elections in 2020, the Ethiopian electoral system will change from a first-past-the-post system to a mixed system that will most likely include 20% proportional representation. The Netherlands, with an electoral system based on preferential proportional representation, was therefore of special interest to the delegates. The visit took place from 19-23 March, and the delegation visited The Hague, Rotterdam, and Amsterdam. 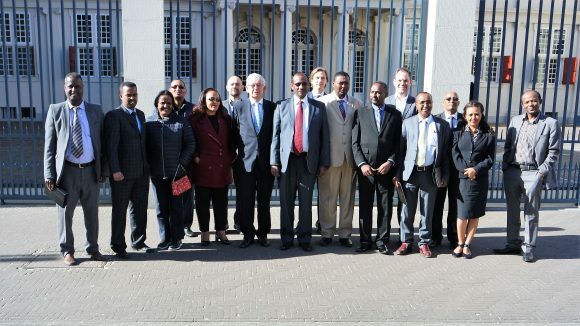 With the visit kicking off in The Hague, the delegation was introduced to NIMD, its programme in Ethiopia and the kind of support NIMD is able to offer to NEBE and political parties in Ethiopia. NIMD also noted the expanding role of Electoral Management Bodies (EMBs) – and the change from delivering ‘free and fair’ elections to providing ‘genuine and credible’ elections – at the root of which lies trust in the EMB. The visit was attended by the Chair of NIMD’s Supervisory Council, Eimert van Middelkoop, who discussed NIMD’s work and the Dutch local government elections with the delegates. 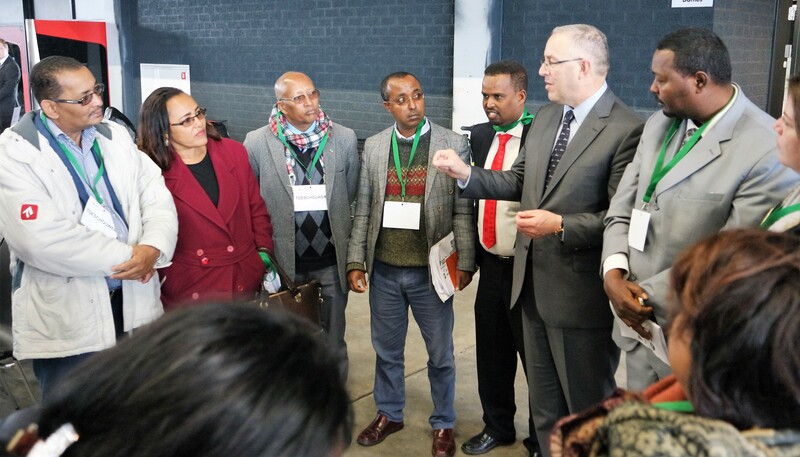 The delegation was later addressed by the Chair of the Dutch National Election Council, Jan Kees Wiebenga, as well as Ben Knapen, former Senator and Senior Advisor to the NIMD Ethiopia programme and a long-time observer of Ethiopian politics. The NEBE members also met with senior staff from the Ministry of Internal Affairs and Kingdom Relations, to learn, inter alia, about its role in the organization of elections and the registration and financing of political parties in the Netherlands. The Ministry officials reflected on the importance of trust in the electoral process and discussed, for example, their decision not to use Information Technology for counting the votes in the General Election in order to ensure trust. According to Mr Demwozie, the discussion on the role of trust was particularly thought provoking and he was interested to learn that the Netherlands is a high-trust society where public institutions, such at the Ministry and the National Electoral Council, are implicitly trusted by the society. This, he said is an important factor in ensuring that the outcomes of elections are generally accepted by all. One of the highlights of the delegation’s programme were visits to polling stations in the municipality of Rotterdam on election day. The delegation first met with technical staff of the Rotterdam Electoral Council, who explained the voting setup and procedures, including the ballot paper. They were surprised with size of the ballot papers – finding them unwieldy and wondering how voters were able to navigate them. They were informed that all candidates were listed so that voters could move their preferred candidates up the party list thus providing them with a better chance of being elected. In addition, samples had been sent to voters ahead of time to help them prepare them for the ballot. The delegates visited three voting stations, where the public were already casting their votes, and noted how the stations were set up to facilitate swift and orderly voting. They also had the chance to visit an experimental post-election counting station in Rotterdam, where all the votes for the municipality were recounted by a fresh team to ensure accuracy. 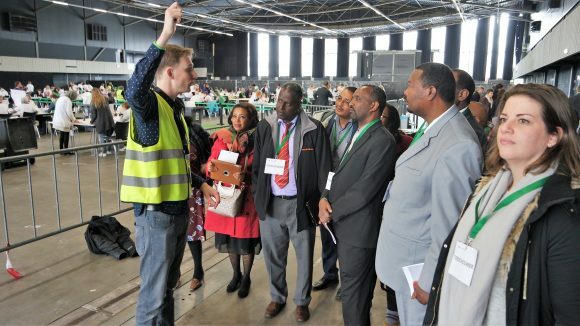 The delegates were impressed with the organization of the counting teams, with different jackets for team leaders and technical experts, as well as the simple but effective flag system employed to signal either a problem (red) or a complete tally (green). During the visit, the delegation was surprised to be received by the Mayor of Rotterdam, Hon. Ahmed Aboutaleb, who was conducting his rounds of the counting as head of the Central Municipal Electoral Council. Overall, the visit provided valuable input for the Board, who will reflect on what they have learned when organizing the upcoming Ethiopian elections. In the words of the delegation leader: “The visit could not have come at a better time and the many lessons learned have prompted us to consider reviewing our strategic plan in order to incorporate some of these”.